Apple has announced the end of its free bumper scheme, confirming that by the end of this month it will no longer be giving out free cases. From 30 September, anyone that's purchased an iPhone 4 will no longer be able to get a free rubber protective case - possibly hinting that the new batch of iPhone 4's will have been modified to reduce the problem. Apple is stating that "we now know that the iPhone 4 antenna attenuation issue is even smaller than we originally thought" as the reason for shutting down the scheme, but wants to carry on with the offer to make sure everyone is covered. 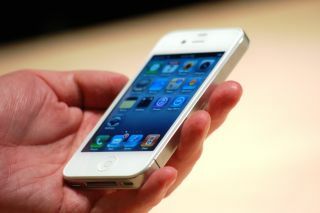 The refund policy that was brought in to appease customers, allowing users to return (undamaged) iPhone 4s to Apple stores for a full refund with no restocking fee up to 30 days after purchase, will also be ended. It's interesting to note Apple is calling it the Bumper scheme, as at the time Jobs said: "we're going to send you a free case. We can't make enough bumpers. No way we can make enough in the quarter. So we're going to source some cases and give you a choice." So get cracking if you bought an iPhone 4 and want to see it covered in rubbery goodness for free - otherwise you'll have to wait until the Bumpers are back in stock to buy one.